Beautiful and fun. The packaging was not so great as the box was torn, but there was no damage to the balance. Fast shipping. Good packing. 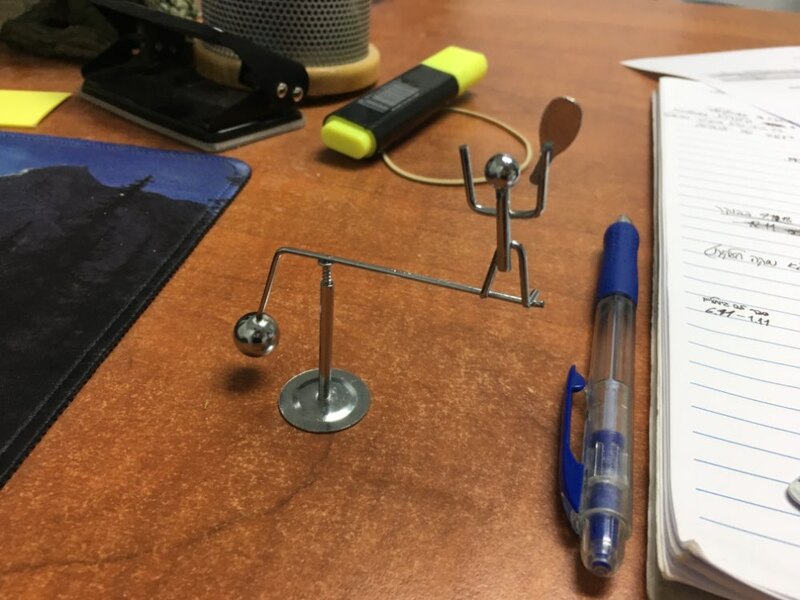 Pendulum works, base-plastic, balancer-metal. The order is satisfied. Product as displayed and shipped as on time showed by store. Pretty cool...as pictured/. I got the guy just standing on 2 feet. I love it! Came in 12 days to Iowa USA!!!!! Really nice and good quality for the price.